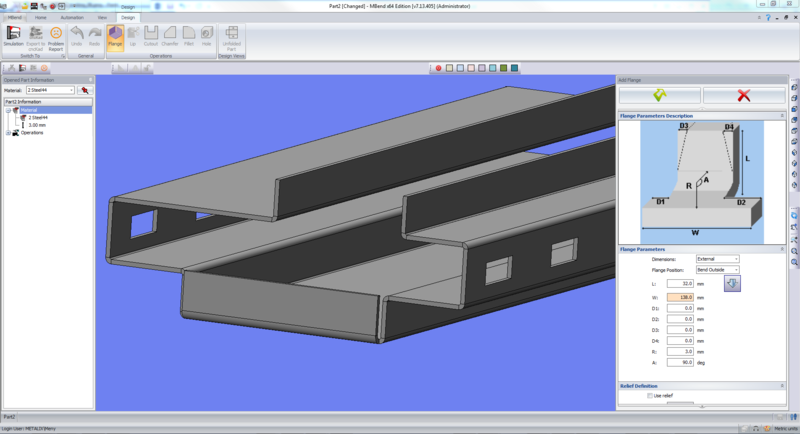 With the MBend module of designing parts you can draw part profiles. We are currently running Metalix 15 and have used Metalix from version 11. We have a few different operating and CAD systems but Metalix is the favourite with our programmers. Easy to teach and to use, very user friendly, and some good features. Use the MBend design module to sketch a part profile, refine its flange dimensions and angles, and save it in the profile library for later reuse. MBend also includes a basic 3D CAD designer. Preview of a template from the templates library Draw the profile design freehand, and then adjust the draft measurements so they are exactly what you need. You can save the profile with a name in the library of profile templates, and then use it as your base whenever you need to create a part with a similar basic design. When you want to use a profile from the template library, MBend shows you a preview of each saved template. Editing the profileYou can edit the profile, changing its dimensions. You can open it in the design module for adding 3D elements or open the part directly in the Simulation mode. MBend includes a basic 3D CAD designer for creating sheet metal parts. Open an existing part or create a part based on a profile, and then add flanges, lips, cutouts, chamfers, fillets, and holes. MBend can import parts in 3D STEP/IGES or 2D DXF formats, export to 2D DXF, and exchange data directly with cncKad. MBend tooling enables manual, automatic, and preferred tool selection, and saving or reuse of tool segment and position setups. 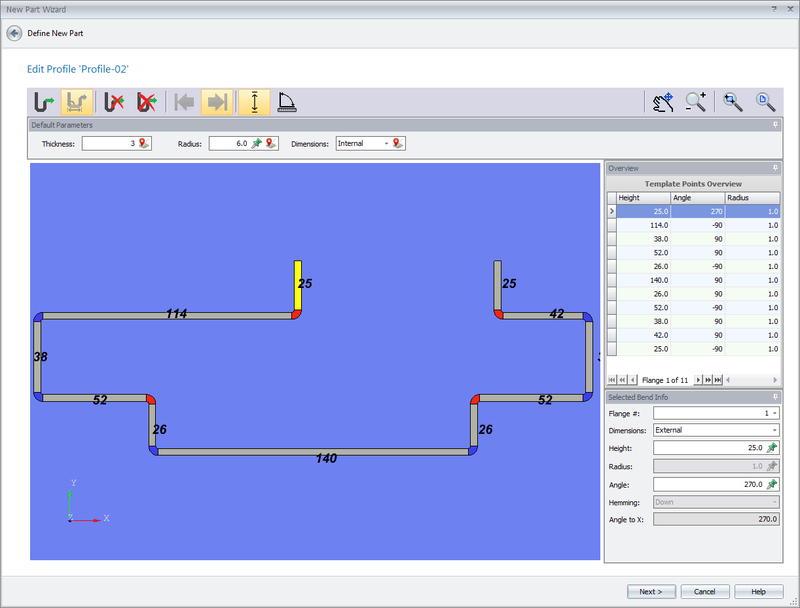 MBend enables manual selection or automatic calculation of bend sequencing. MBend provides options for automatic and full manual control of the finger positioning. Simulating bends in MBend is a dynamic process, showing a realistic 3D visualization of the bending parts. MBend creates NC code suitable for most machines and controllers. Comprehensive MBend reports include all the information the operator needs to set up the tooling and bend the part. The MBend automation feature allows batch processing your parts. Machine Configuration allows to import and configure tools and machines. MRobot is a module for simulating and programming robotic bending cells.